Have any Question! Visit Our Showroom Today! At KMC Kitchens, we make getting the kitchen of your dreams as easy as possible. We will design a kitchen that matches your style, lifestyle, and space. 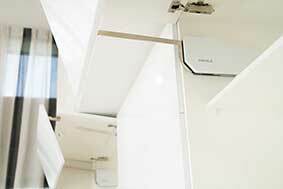 Our expert craftsmen will then install it to the highest possible standards. Get a quote today – call 03 974 9380. If you’re looking for kitchen design in Christchurch, as well as kitchen installation, you should contact us at KMC Kitchens. 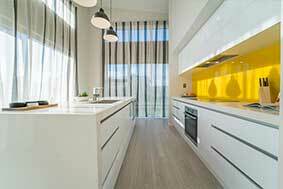 We are the region’s leading kitchen installer with experience in all types of kitchen. 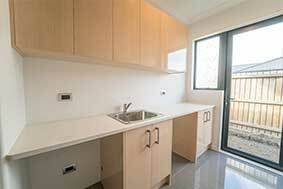 This includes large kitchens as well as kitchens in smaller rooms where space is a challenge. 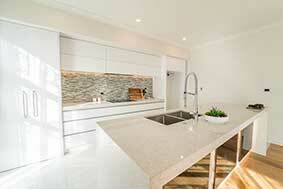 Our design experience also includes all styles of kitchen, from contemporary designs to modern styles. When you come to us for kitchen design in Christchurch, our designer will spend time getting an understanding of the style of kitchen you want. They will also find out the features you want in your kitchen. 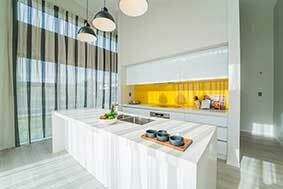 They will then design the kitchen of your dreams ready for our installation team to take over. 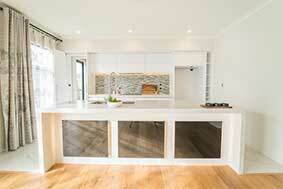 Our team of kitchen installers in Christchurch are the best in the business. 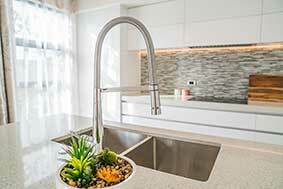 They include carpenters, plumbers, and electricians – in other words, we have all the skills required to ensure your kitchen installation runs smoothly and is finished to the highest possible standard. Our reputation is built on the quality of our kitchen installations, so you can be sure your new kitchen will be perfect. In fact, it will make you say “Wow!” the first time you see it. Everyone else who sees your kitchen will say “Wow!” too. Kitchens are the most important room in any house. It’s a place where the family spends time together, plus it has an important functional purpose. Getting the design right is, therefore, incredibly important. We’ll make sure your kitchen matches your design vision, whether you want a modern design, something luxurious and contemporary, or a kitchen that is more standard. 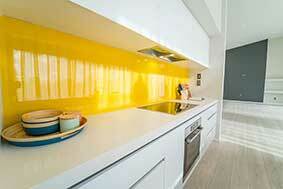 For kitchens in Christchurch, get in touch. 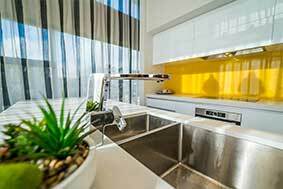 Our expert skills as kitchen installers in Christchurch are useful in other areas of your home too, particularly your laundry. As a result, we offer comprehensive laundry design and installation services in addition to kitchen installation. 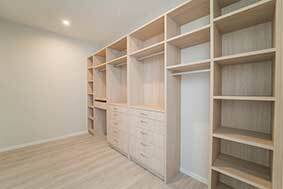 You can also get our carpenters to design and install bespoke wardrobes for your bedrooms. Contact us today to find out more information. If you want a new kitchen in Christchurch, get in touch today to get a free, no-obligation quote. Call now on 03 974 9380 or visit our showroom. 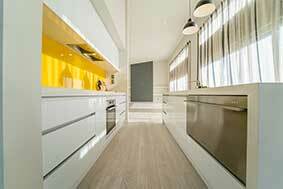 KMC Kitchens believes you should have the widest possible choice when getting a new kitchen for your home. We also take great care with the design to ensure the room is bright and the space is properly used. Plus, we install kitchens to the highest possible standards. You'll love spending time in your kitchen and you'll love showing it off. Thanks to you for your excellent advice and service throughout this project – it has been a pleasure dealing with you both. We would like to Thank you and your great team for the fantastic job that you have made of our kitchen. We are so extremely happy with the final result. We thought that having a new kitchen was going to be chaos, however it was not, far from it. Your team Made it easy and with theres and your expertise the final result was better than first thought. We will totally recommend you to anyone who comes our way with pleasure. We wish you all well and once again THANK YOU.